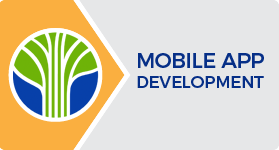 Learning Tree is proud to offer the following Mobile App Development Specialist & Expert Certifications, so you can validate your app programming skills. As a Certified Specialist in Android Application Development, you will create intuitive, reliable software using activities, services and intents, and design user interfaces that work seamlessly with a range of phones and tablets. You have the knowledge to mitigate the most significant threats to mobile app security and protect application data at rest and in motion. As a Certified Specialist in iOS Application Development, you will design and test user interfaces with Interface Builder and the Simulator, combine navigation controllers and tab bars to provide a multifunctional user interface and use Objective-C to develop code for the Mac OS X and iOS platforms. As a Certified Specialist in Multi-Device Mobile Application Development, you have the knowledge to build robust business applications for both Android and iOS phones and tablets. You will work with Objective-C, the iOS SDK and the SQLite database. As a Certified Expert in iOS Application Development, you are competent in Objective-C programming and development techniques to create powerful and sophisticated software for the iOS platform. You have expertise in mitigating mobile devise risks and implementing mobile device security strategies.